This article is 3142 days old. 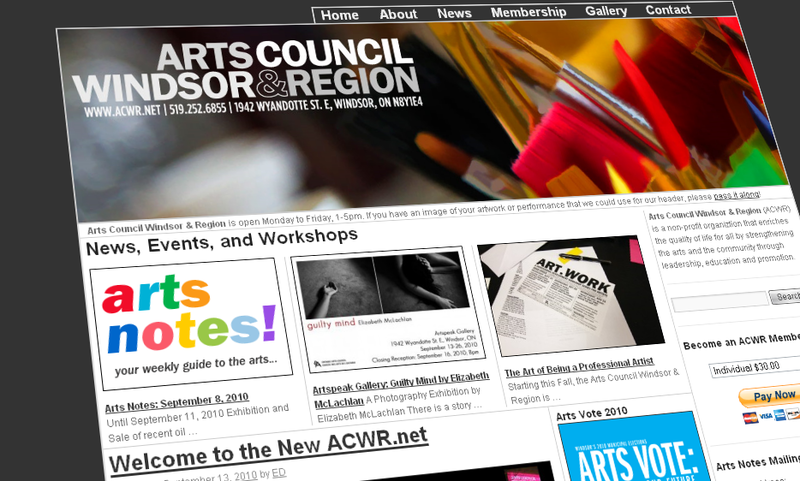 The Arts Council Windsor & Region has launched a brand new, 21st century website as a new way to advocate for the arts in Windsor. The ACWR came under the direction of Justin Langlois back in the spring and is in the process of updating itself to appeal to the online generation. The Arts Council has even partnered with us here at windsoriteDOTca to utilize our Events Calendar as a way for a very large audience to see what is going on in the arts community in Windsor.